How you see The Perfect Pint inside and out. I tagged along with my friends, together with bloggers and media people, to attend the official opening and inauguration of a new gastro pub in Bonifacio Global City, today’s gotta-be-there place in a new wave of bars, clubs, diners and restaurants sweeping the skyscraper residents. We were there on time, which means we were too early. LOL! This new bar and restaurant (my old school term) is the brainchild of a band of brothers, namely Alec, Noel Jr. and Raymond Tempongko whose intent is to get the dining and beer-drinking world of Metro Manila to savor handcrafted beer. But it does not stop there. Much like wine is paired with different types of food, so then did the brothers decide to have “craft beer” paired with a variety of food. For this, they brought in Chef Gene Gonzalez, made famous for bringing us the iconic Café Ysabel. Chef Gene meticulously paired one type of food that goes with each of the craft beers The Perfect Pint is offering. 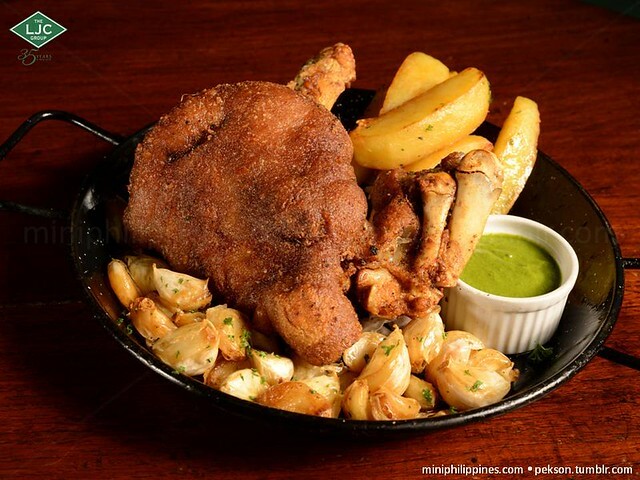 Some of the mouth- watering pairings include Truffle Fries with Czech Weizen, Kapal Muks with Pale Ale, Liver-wrapped Bacon with Dark lager, Smoked Angus Tapa with Egg with Pale Ale and Stinky Pizza with Weizen. Even their dessert, freshly-baked caramel smores are paired with dark pilsen. And Chef Gene not only set up their kitchen but made sure to personally be involved in hiring the chefs and assistants. Everyone from the two shifts were there on opening day. 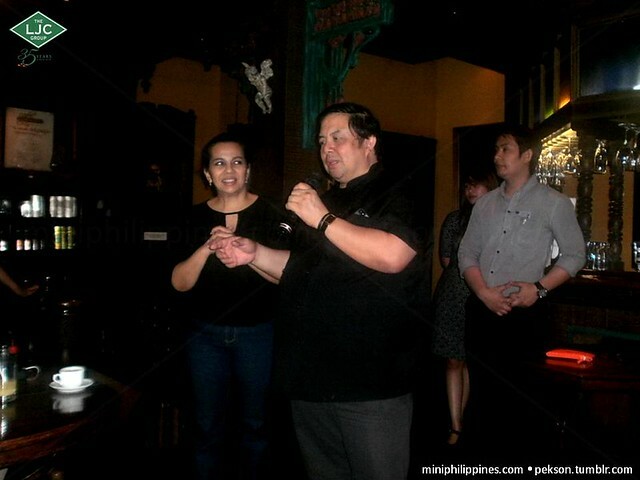 L-R: Me and Chef Gene Gonzalez, my chef idol from the time he set up Cafe Ysabel. My favorites were the Truffle Fries, Liver-wrapped Bacon and Stinky Pizza. Oh, boy! The pizza is a five-cheese-layered pizza for all slices! I mean, many of us are served a four-cheese pizza but divided into two slices per cheese flavour. This one’s all of them! And this one’s a must try with the Weizen beer, of course. This 5-cheese pizza is undeniably the best cheese pizza ever. And paired with beer? OMG! Going back to the craft beer, I asked Noel what the difference was with craft beer and micro-brewed beer, the latter of which was also the rave a decade or so ago but curiously disappeared only after a few years. For one, craft beer is handmade while micro-brewing is done by a machine. So, there’s probably the love and passion of a person brewing the beer, coupled with the human judgment call when and if the brew is at its perfection. The Perfect Pint will not serve local commercial beer you usually buy in convenience stores. Instead, it will only offer craft beer, mostly of which are brewed locally by Filipino-owned independent breweries. Local beers from Katipunan Craft Ales, Craftpoint Brewing Company, Pivo Praha Corporation, G Point and Fat Pauly’s will be available on tap and bottles. None of the usual, local beer bottles you buy in convenience stores are sold here. Only handcrafted beer. Beer Pairing. I mean many of us are beer drinkers rather than wine connoisseurs, and today is your lucky day to have beer and food paired together without the snobbish ambiance from wine drinkers. Just kidding! I saw about four or five large screen televisions hanging in all corners of the place, which can probably mean a place to watch live sports telecasts while pairing craft beer with food and shouting Ole! Ole! Ole! Ole! Oh, by the way, The Perfect Pint is giving away 10 percent discounts to weekday lunch patrons up until May 31 this year. L-R: Me and one of the three brothers who owns The Perfect Pint, Noel Tempongko Jr. The inside of The Perfect Pint. It’s letter-U shaped with a bar in the middle. Table setting and the menu on a clipboard as we arrived on time and too early. I was trying to get photos of the bar but this girl was in the way. Heck! I decided to take her photo, too. LOL! The many things you’ll see and crave for at The Perfect Pint. 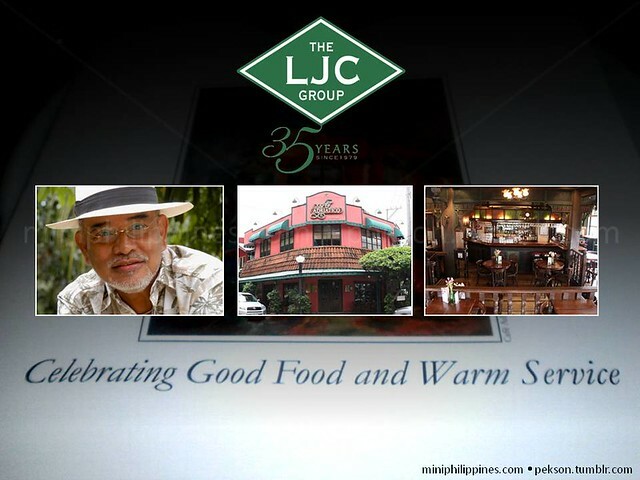 The Perfect Pint is located at the second floor of the Crossroads Building along 32nd Street in Bonifacio Global City. If you know where the stand-alone Starbucks with the drive thru is, then the building is right beside it, which also means MC Depot is right at its back. They are open seven days a week, from 11:00 AM up to 2:00 AM the following day. The Philippine Embassy participated in the recent 18th Ottawa Travel and Vacation show held on March 10-11, 2012 at the Ottawa Convention Centre in Canada. The participating travel services company includes Tours Hai International, Jade Tours, Handa Travel, and Royal Scenic, among others. At the show, there was palpable interest in selling more Philippine destinations as demonstrated by Uniktour, Travel Professionals International and Family Travel Scoop. 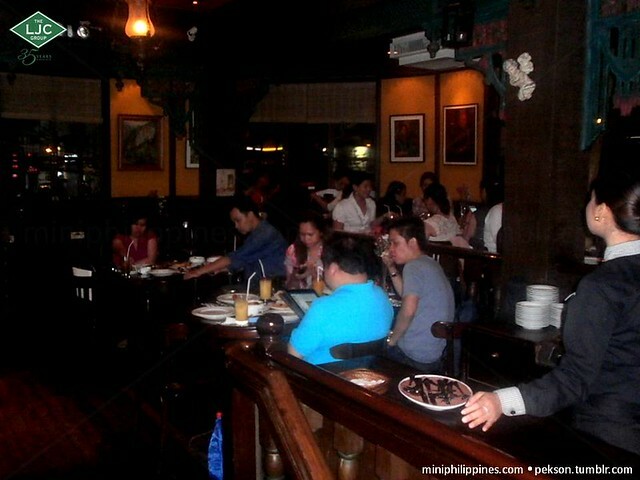 Besides tourism, the Philippine Embassy took the occasion to promote Philippine products and food. Filipino shell craft, baskets and the turon were the top drawers inviting queries and compliments from visitors. 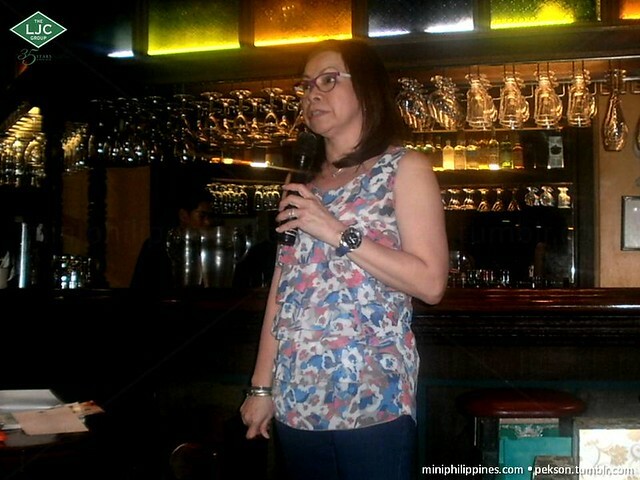 Philippine participation in the travel show was organized by the Philippine Department of Tourism office in New York represented by Ms. Mitchelle T. Dy, Deputy Director for Marketing. 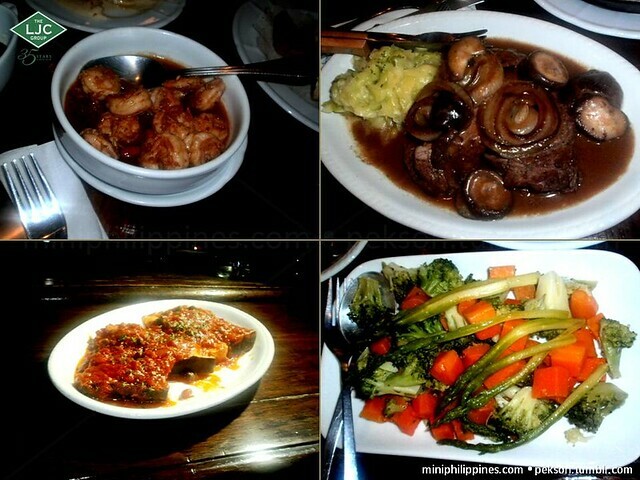 PinoyKubo is home to several online games, Filipino e-cards, chat, blogs, videos and more. 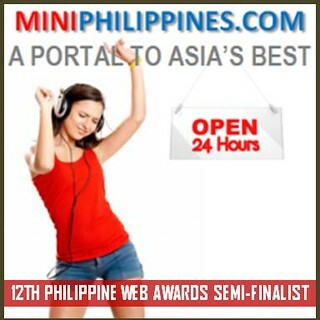 PinoyKubo is a global online meeting place reaching people of the Philippines around the world. PinoyKubo offers the following applications: Chat, Video Chat, Photo and Video Uploads, Online Games and a lot more! “The online community’s audience, membership, and market include Filipina and Filipino expatriates, business people and students who are in the Philippines as well as abroad. It also is popular with those who are in a position to develop business with those in the Philippines and those who wish to learn Tagalog or just be immersed in the exciting Philippines world culture.” I do hope it’s not one of those Match.com-wannabes touting “Filipina” (notice that was the first word description talking about membership). PinoyKubo touts groups, too, but it relates it to businesses and organizations becoming popular, or as champions, via sponsorships, ads, partnering options, and special events. Add the phrase “…and be an important part of 2011 and future image and branding.” The list of companies who are taking part in the new Filipino social networking site are Astraqom (obviously, the creators of PinoyKubo), Manuel S. Enverga University, Virtual Phone Line, Globe Telecom, Smart Communications and Sun Cellular. There’s an e-commerce component mentioned by PinoyKubo. “Any PinoyKubo member can start and operate his or her own electronic store and sell services and products online. Because of the company’s emphasis on empowering Filipinas and Filipinos in the Philippines and abroad and also those who enjoy the culture, there are no fees for transactions. 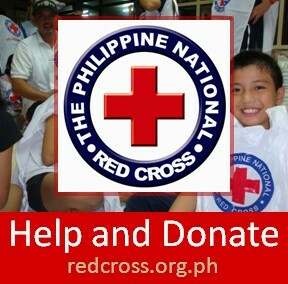 Payments are made via Paypal.” (Again, the emphasis on Filipinas. Why not use a generic, non-gender term?) Their PR.com publication writes, “The PinoyKubo e-store is available to retail brand names or home hand-crafted items. The PinoyKubo community members do not have to buy their own store website, nor do they have to install anything to get started. With a minimal few minutes of effort, they are up and running with their own stores.” Click here to watch a YouTube video of a demo in setting up an e-store. Jonathan Sowah is the founder of PinoyKubo and AstraQom. He is reported to say that the PinoyKubo social network’s stores is an effective way to expand entrepreneur and businesses’ reach into the benefits of social media. TMCNet contributor Rahul Arora writes that with PinoyKubo’s features and tools, the participants can easily meet long-term social and entrepreneurial goals. They can make friends to collaborate with, get appreciated for one’s talents, accomplishments and abilities, and discover and employ new methods and tools to reach social and business (also may be entrepreneurial and financial) goals. But most of what he writes are copied from the Astraqom website. PinoyKubo today has about 50,000 members (they call it “friendships”) after three months of beta-testing. They are planning a comprehensive game archive with over 14,000 different games and activities, plus social-oriented ones. AstraQom Corporation merged with Aon Communications (Canada) Inc. in 2009 and has operations in Ottawa, Montreal, Maniwaki, Toronto, Miami and Mexico City (Mexico). It is a member of the Canadian Advanced Technology Alliance (CATA). 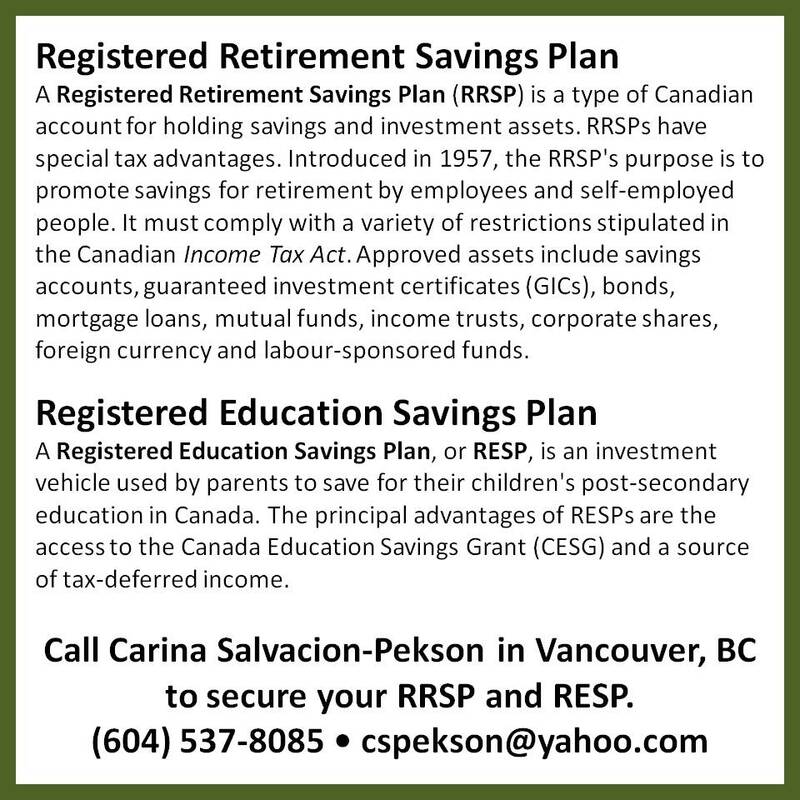 I salute a Canadian company offering a service for Filipinos, worldwide. I advocate cloud-based applications and social media for the workplace. I’m not much of an online game afficionado but maybe it’s a carrot to the younger generation who are prospective buyers of its e-stores. 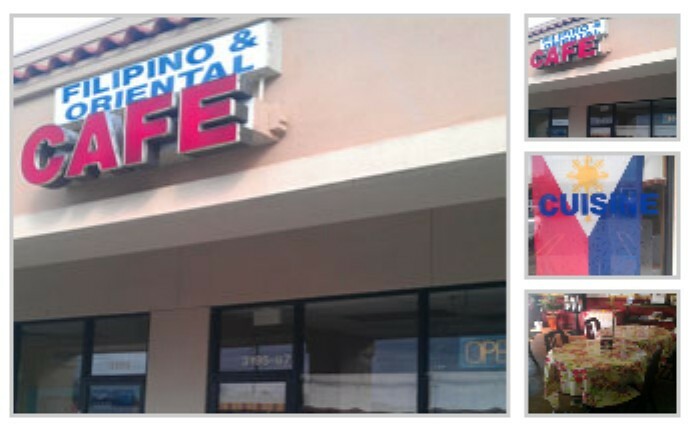 So, join http://www.PinoyKubo.com and see what a predominantly Filipino market can do for you and your small business.